A lot of guests still like to book accommodation directly at the property via telephone or e-mail. To facilitate communication with them we have released issuing offers from Rentlio in just a few clicks. 2. By checking on the Calendar. Simpy open June on the Calendar and check if you have any available units. When you've found a free unit for the period guest wants to book the best way forward is to enter a reservation and set its status to Option until you receive a final confirmation. After that, you can issue an offer directly from the Calendar. Just click on the reservation (with status Option) and select Offer. 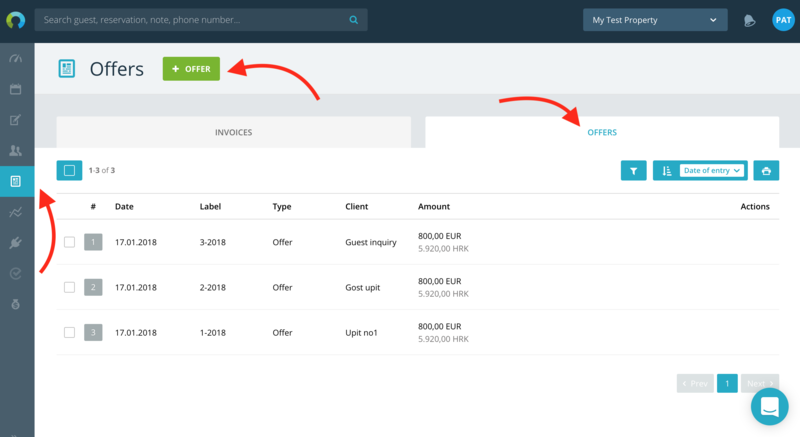 There is another way to issue offers directly from Invoices screen; however you will have to create an offer manually (by typing guest details, adding items to the offer, writing notes etc). If you issue an offer via Invoices screen it will not be connected to any reservation on the Calendar, so issuing it will not create a reservation on the Calendar.